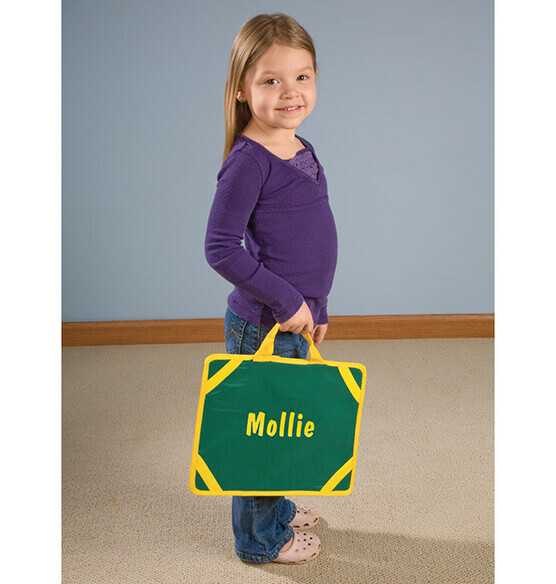 Personalized lap desk for kids is great for coloring, puzzles or snacks on-the-go. 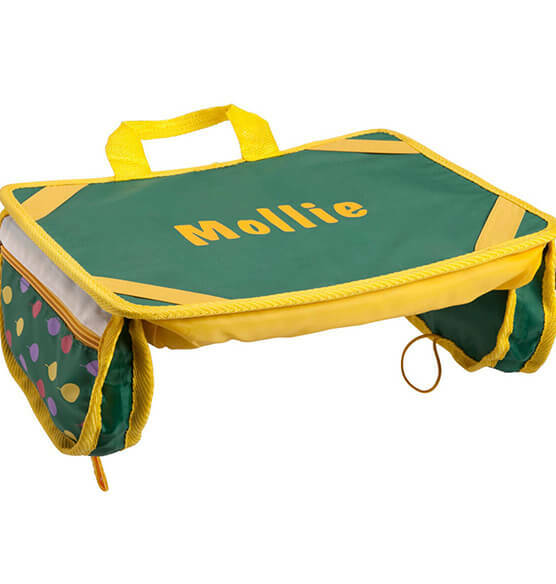 Our kids lap desk features smooth top with 4 elastic corners to hold papers, padded bottom, 2 pockets and carrying handle. We’ll personalize. Specify name; limit 1 line, 14 letters/spaces. Spot clean. 13" long x 10" wide. Being able to personalize the lap desk made it even cuter. Great to keep a child sitting entertained. I have bought this product twice. I bought the lap top desk for my granddaughters 6ht birthday in June. She loved it. Her parents are campers and she used it in the car and the camper. I recently purchased another for my great granddaughter who is turning 4. I'm sure she will love it, also! Charge to much for this product. After ordering this product I found it for only [$] in other catologs. Could'nt cost that much more to print a name. Very Dissapointed. I still have not received it. It's been a couple of weeks and I guess it got lost and you were to ship another one ASAP. Still waiting!! !